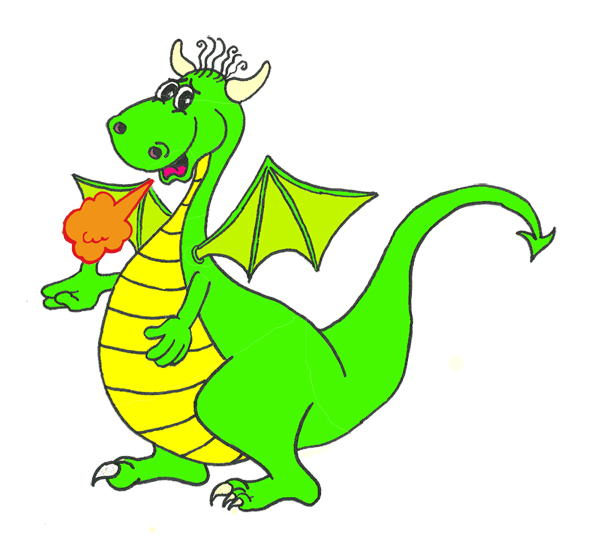 Dave the Dragon is the embodiment of Martial Arts and personal mastery. He represents perfection in Martial Arts and perfection in character. When students take part in the Power Dragons course, they will learn the nine key characteristics which will help them to develop their personalities and focus in a positive fashion. 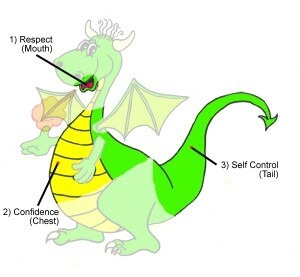 As students demonstrate their mastery of these characteristics they will be given a sticker of part of Dave the Dragon for their workbook which will eventually make up the complete picture. At this point they will be considered Power Dragons! 1) Respect (Mouth): We can chose what we do and also what we say. Everything we say must be respectful. 2) Confidence (Chest): Confidence comes from within us, from our heart. Like our heart, it is critical to keep us strong and healthy. 3) Self Control (Tail) : The tail balances the dragon and acts as a rudder when he flies. In this way, the tail provides control to ensure Dave the Dragon flies in the right direction.